There’s a Taylor Swift song titled “the Story of Us” that I frequently dance around the kitchen to. It’s one of those tales where it starts out good and ends up bad, and no one can tell that tale better than T. Swift! However, I have a little tale of my own but it starts out bad and ends up good. 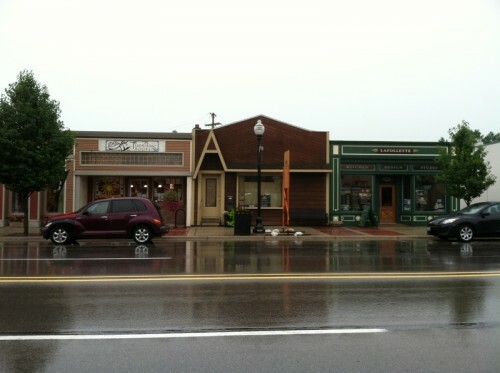 It’s a little building in Williamston, Michigan that used to be dark and sad and lonely but is now happy and fabulous! 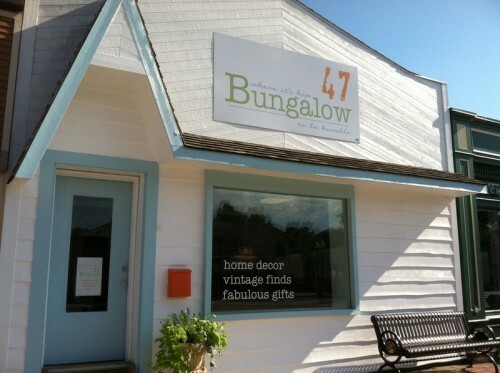 It is the home to our new little adventure, Bungalow 47. But I’m getting ahead of myself, let’s just back up. The building before it’s transformation! 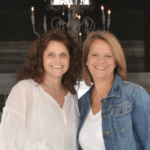 Owners Jill Rinner and Chantelle Deimling had lunch one day. They hadn’t seen each other in awhile (had actually met about 17 years before when Chantelle sold Jill some custom furniture) but had always crossed paths at one time or another. Jill had been checking out Chantelle’s posts on Facebook about pieces of furniture she was buying and giving new life to. Both had recently become empty nesters and were each longing for something fabulous and creative to do. So Jill IM’d Chantelle about lunch and within the hour they were dipping their chips in salsa across from each other. As often happens with these girls, one thing led to another and before you knew it, they were on the hunt for a spot for their business! 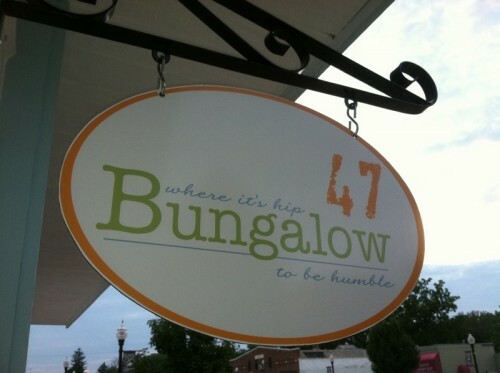 Many ask, why “Bungalow 47”? And of course there is a story there too! And NO, we aren’t selling Bungalow style furniture only and NO, we aren’t 47 years old or have 47 dogs or want 47 children. We wanted a word that conveyed “home” but sounded cozy. Since bungalow is a synonym for home (plus it just sounds cool) it was perfect for the name. We added the “47” because 4/7 (as in April 7) was the day we opened the business in our heads. Once that happened, we were off and running and now will be opening the cutest little store in this adorable little town we’ve come to love! There will be more stories to tell, more dancing when no customers are around (who am I kidding, that will not stop us so come and join in) and many more pictures to inspire you to make your house a home, whether it be a cottage or bungalow, a tract house or mansion! We hope the story of us will get better and better and we look forward to sharing it with you! LOVE the outside of the “store” and LOVE the name. It’s like a bright new smile to downtown Williamston. Can’t wait to stop in….much success to you. good looking wed site….Thanks again for the dinner at casa de pico…good to see everyone….good luck in your venture..I’m sure it will be great. Welcome to Williamston, ladies! Looking forward to stopping by often to see what’s new and exciting in the store. Love the vibe you’ve created. Wishing you lots of success! do you sell the annie sloan paints on line? workshops? couldn’t find your email address. We do carry Annie Sloan Chalk Paint and will be coordinating workshops beginning in November. Our email address is bungalow47@gmail.com. Hi, I stopped in the other day and loved your store!! I can’t wait to come in again 🙂 All the best! I am going to go ahead and bookmark this post for my brother for their research project for school. This is a sweet internet site by the way. Where do you pick up the design for this website? Thank you. We worked with Julie at Bloggerboutique to design it.. Very cool I’ve bookmarked ya on Digg.com under “The Story of Us”. Kudos!